More Pictures of Charlotte, NC While at Authors After Dark! I loved all the glass buildings, and kept thinking what an industry the window cleaning business would have there. Now, if they had men in kilts, that they actually have in Scotland, who window wash, even better! 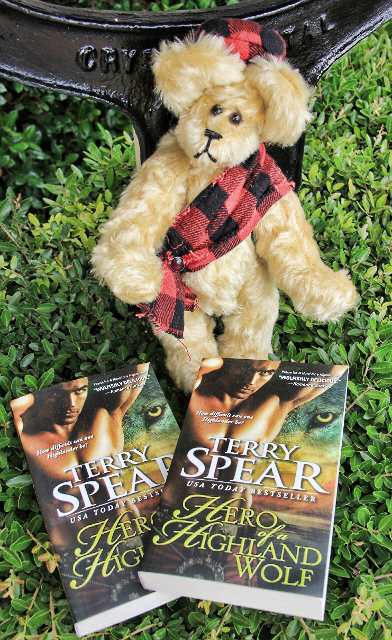 Speaking of Scots, or in my case, medieval Highlanders, my Taming the Wild Highlander won the Bookie Award for Best Historical Novel of the Year at Authors After Dark!!! Reviews for Hero of a Highland Wolf! Woohoo, 5 Wine Glasses and I’m ready to drink every one of them!!! Thanks to Books N Kisses! I love this review from a “Cat” who loves the wolves. Now that’s saying a lot. Thanks to Cat! Once, I told my daughter that I should write darker, because that’s what was selling. She said, “Mom, you can’t write totally dark. You always have rainbows in your stories.” 🙂 <3 Love her! The humor just creeps in. With my very first book, Heart of the Wolf, I loved that two reviews mentioned my humor. Humor is always so subjective, and so I never know if readers will see what I write as humorous or not. And I think as I’ve progressed with my writing, I’ve felt more freedom to write more humor that I was afraid would not fly with my publisher. One of my former critique partners was an English high school teacher and she was more of a slapstick kind of humor writer. But when she read mine, she said, “The humor just sneaks up behind you when you weren’t even looking.” I loved that too. Got home from the airport yesterday and they were missing my bag and several others. Argh. And the AC wasn’t working. Can you think of anyone who would be involved in such mischief? The fae. I know, I know, no one believes that they have that much power, but…. It was 96 degrees and HOT outside, and 87 inside! It was cool in Charlotte and I miss that! 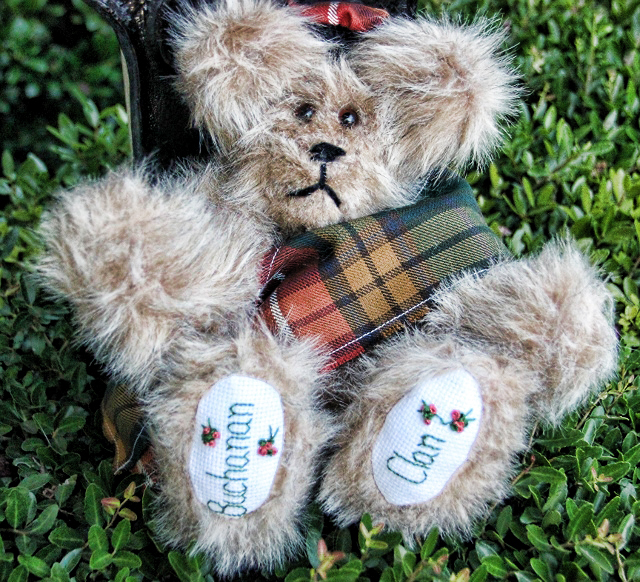 Off to ship Buchanan Clan Bear, Armstrong Clan Bear, Poodle Skirt Bear, MacBear, and US Navy Bear! It looks like Christmas in my car with all the packages!!! And I finished another bear, but I have to make another bear to complete the order. I only have one more of these bears. It’s a mohair. And a book to write! Etc, etc, etc. It’s going to be a GREAT day!!! 🙂 <3 Mainly because my plants didn’t die while I was gone and my AC is now working!!! Have a super wonderful Monday!